There are many ways to understand the 2016 presidential election. 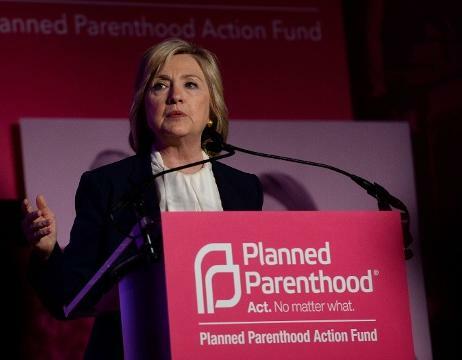 But one we have emphatically underlined is precisely what the "mainstream media" minimizes: the extent to which a victory for Hillary Clinton would empower the most extreme elements of the pro-abortion movement (which is already out of the mainstream to begin with)....read more. "Missouri is a pro-life state, and Roy Blunt and Donald Trump reflect Missouri's pro-life values," said Carol Tobias, National Right to Life president. "Roy Blunt and Donald Trump will provide a strong voice for the most vulnerable members of our society." 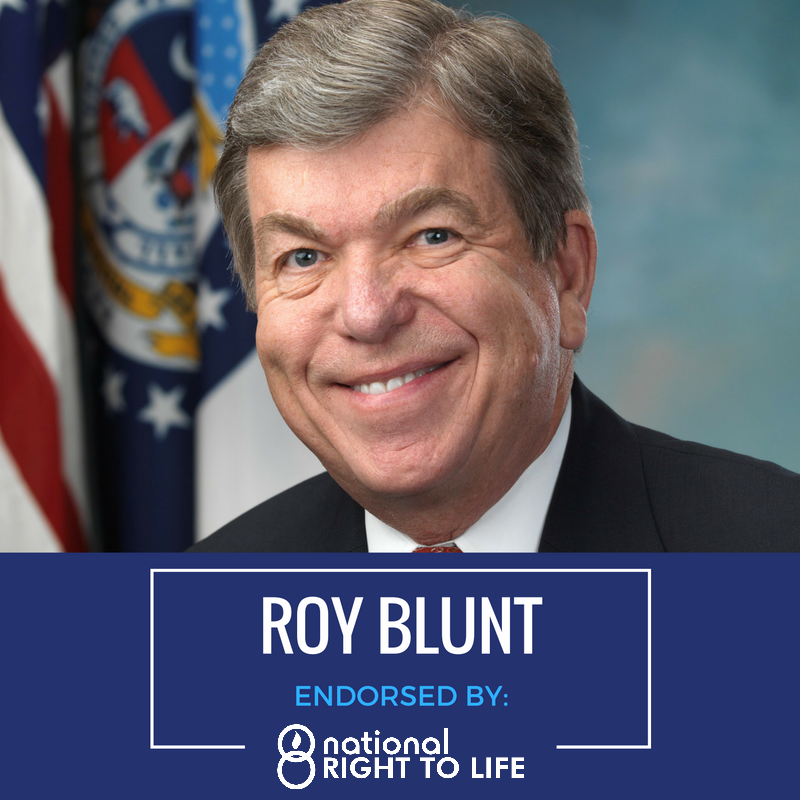 National Right to Life highlights Roy Blunt's strong pro-life position. He has a strong pro-life voting record. He supports protection for unborn children, including the Pain-Capable Unborn Child Protection Act. Blunt opposes using taxpayer dollars to pay for abortion. He also voted to repeal the Obamacare law. Blunt is committed to reversing the abortion-expanding and rationing effects of that law. Cecile Richards, president of Planned Parenthood, the Nation's largest abortion provider, was in Missouri yesterday to stump for Jason Kander. Kander is running against Sen. Roy Blunt, who is endorsed by both National and Missouri Right to Life PACs. 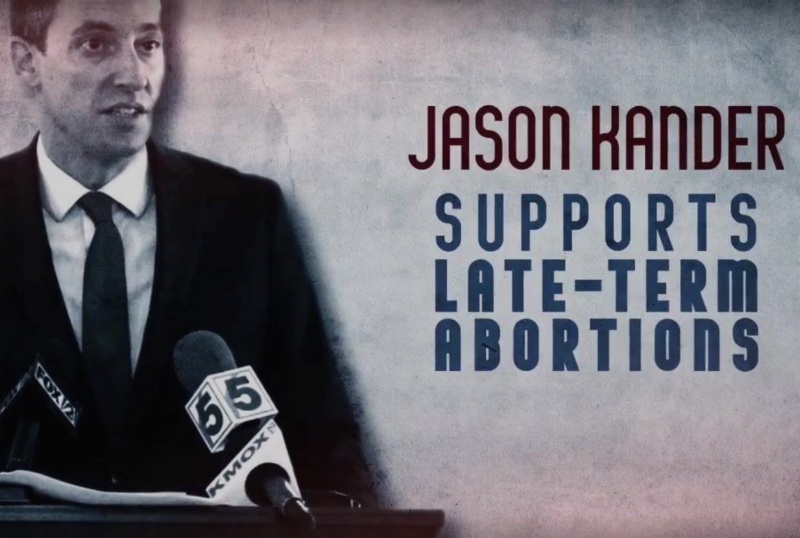 Jason Kander supports a policy of abortion on demand, which allows abortion for any reason. He also voted against banning late-term abortions even when the child can feel excruciating pain. Jason Kander is out of step with Missouri values! The decisions made next Tuesday will change all of our lives, no matter how it turns out. Join us for the MRL Statewide Leadership meeting to learn how we will adjust to the changes, whether good or bad, that will be coming our way. We will look at what we can do to combat an onslaught of pro-abortion initiatives coming from a Clinton administration or the positive things that we will see from Donald Trump. Our special guest speaker will be Congressman Blaine Leutkemeyer. The meeting is November 12th from 10 am - 2 pm in Jefferson City, Pleus Hall, 1206 E. McCarty. To RSVP call 573-635-5110 or email righttolife@missourilife.org. Link - For newcomers, or those who haven't heard Trump talk about his pro-life conversion, Trump tells EWTN's Raymond Arroyo that there wasn't a moment that changed his thinking and his heart on abortion. Link - Sen. Paul Wieland enrolled for a new contraceptive-free health care plan last week, a move made significant since it took him a three-year court battle to accomplish. Link - Emergencies continue at St. Louis Planned Parenthood. Missouri Right to Life Calls on Missouri legislature to pass Abortion Clinic Inspection Law in 2017 Session. Don't Let the Pundits Scare You Away- Vote on Election Day! Link - Do not be discouraged by the negativity you see in TV broadcasts, in political ads, or even in frenzied Facebook debates. With your vote, you have a voice. Do not let that voice be silenced. Link - In a first for either political party, the 2016 Democratic Party Platform has made a clear break with America's longstanding policies prohibiting taxpayer-funded abortion. Link - The legal system since Roe v. Wade and through Planned Parenthood v. Casey has neglected to ask the question about the consequences of fetal personhood, fearing-rightly-the damage the answer could do to the right to abortion. Link - How can a life and death decision be automatically delegated by law to an unregulated, unaccountable group of individuals outside the legal system? Link - When we abandon the principle that the law (in this case the criminal code prohibitions on homicide) protects all of its citizens equally, as van Loenen observes, drawing a new line is arbitrary. November 5 - Columbia - Life Network of Central Missouri Walk4Life and 5K run, registration at 9:00 am, Walk/Run at 10:00 am. Stephens Lake Park in the Gordon Shelter. For more information visit: http://www.lifenetworkfriends.com or call 573-874-3561. November 5 - St. Louis - Join the Defenders of the Unborn's Election Truth Tour, 12 noon - 2 pm, 13975 Manchester Rd. November 12 - Jefferson City - Save the Date! Statewide Leadership Meeting, 10 am - 2 pm, 1206 E. McCarty, Pleus Hall. To RSVP call 573-635-5110 or email righttolife@missourilife.org.